The month of September went relatively quiet for Jordan Brand due to the limited lineup of shoes. But the month of October is shaping up to be a promising month as JB kicks off the season with the Bel-Air pack. 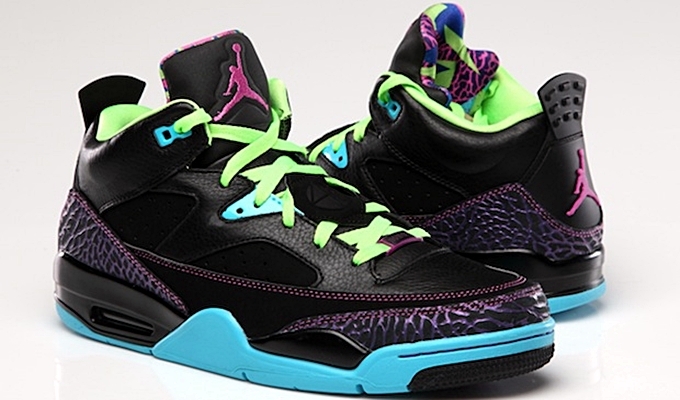 Included in the pack is the newest edition of the Jordan Son of Mars Low known as the “Fresh Prince of Bel-Air” edition of this famous model. The shoe features a black-based leather upper part accented with club pink, gamma blue, and court purple accents. This eye-catching sneaker is now available for retail $140 in different Nike retailers.